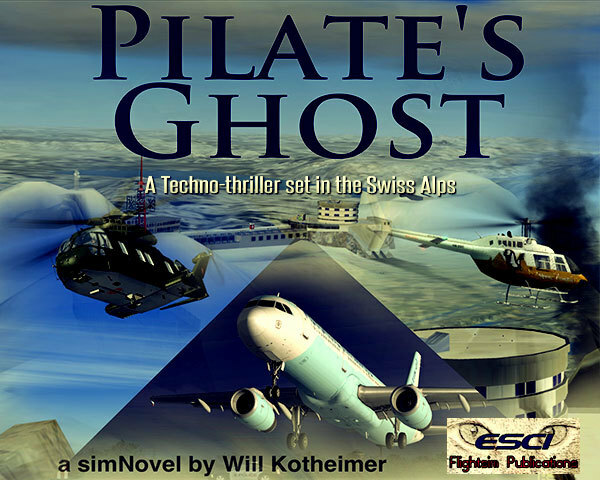 Using an interesting melding of fiction and simming, author Will Kotheimer takes us on a journey filled with intrigue, danger, and flying adventures with his simNovel – Pilate’s Ghost. 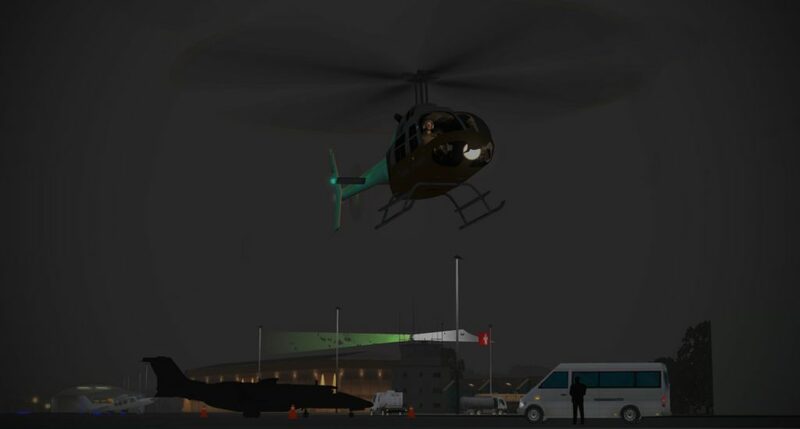 The simNovel consists of a 150 page story, divided into 28 chapters, with nine FSX missions that are to be flown at various points throughout the story. 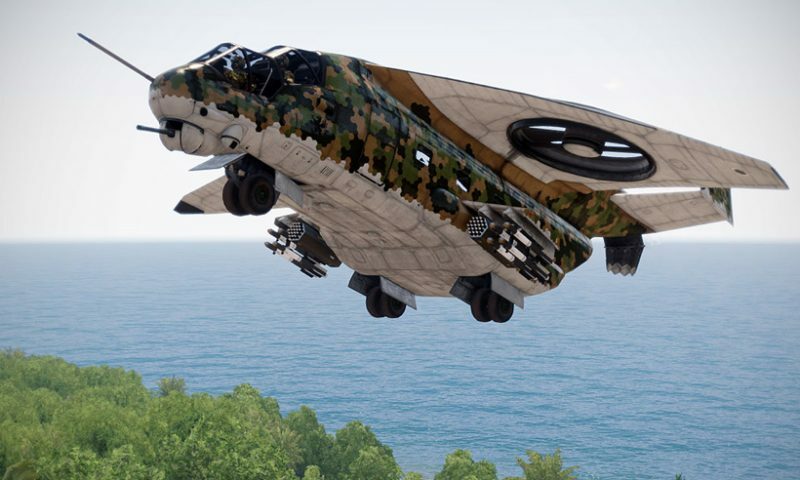 The package comes with custom scenery for the various plot locations, custom objects, custom liveries, and extensive briefings. 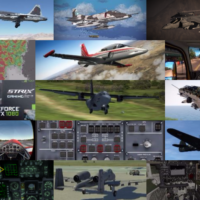 All of this installed into FSX: Steam Edition just fine but I did have to point the Add Scenery function within the sim to the proper folder to add the custom scenery. I also attempted to use the missions in P3D with no success – probably owing to the fact that many of the assets used in the designing of the missions aren’t part of the default P3D installation. Well…it was! Without giving away too much of the story, you play the role of a few different pilots as the story expands. The transitions between the roles is actually done quite well, and there are just the right amount of characters in the novel to give you a familiarity with them without the family tree becoming confusing. The book starts out with a relatively benign mission (but your flying skills will be tested immediately!) and from there the plot unfolds with nice pacing and, quite honestly, a fun story. 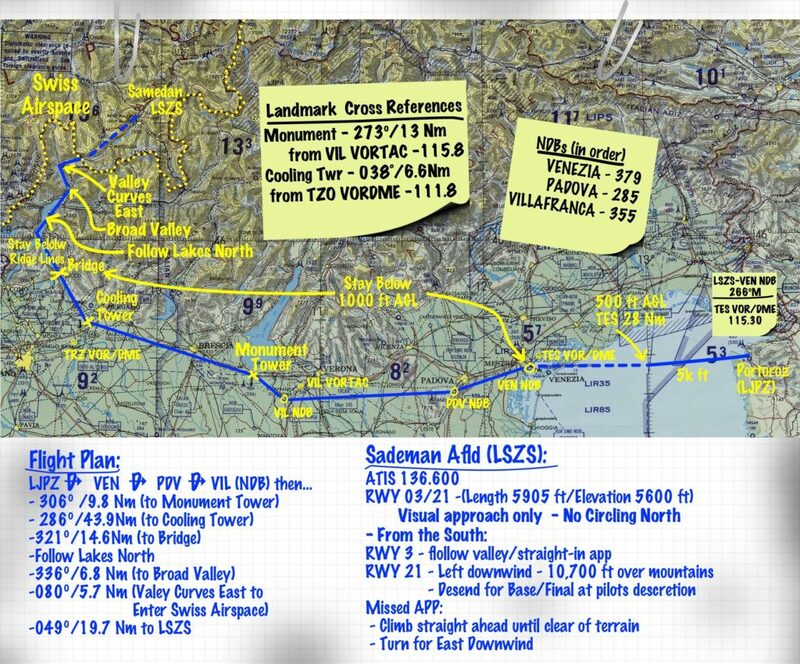 It won’t be spoiling the story to tell you that most of the flying will be around the Mount Pilatus area and throughout much of Switzerland. The setting, from a flight sim standpoint, could not be more visually appealing. The soaring heights of the Swiss Alps, woven with tight valleys with challenging airport placements, is an inherently exciting place to fly. 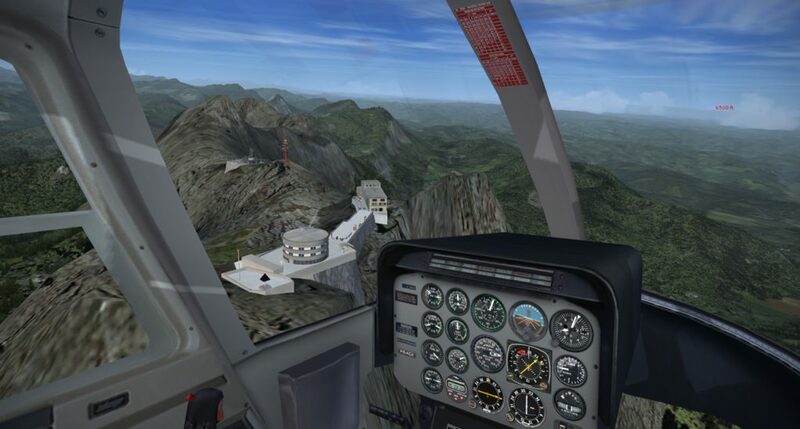 The instructions included with the package provide in-sim settings guidelines that should be considered in order to make the custom scenery areas appear correctly. With that said, I used the package with no problem despite having ORBX Global and Vector installed, which includes changes from the default landclass and mesh, providing for an even better visual experience in FSX. Your mileage may vary. The story itself unfolds with a nice premise. There are some technical aspects that allude to the author’s background in intelligence, providing for a good bit of engaging storytelling. For lack of a better phrase, I’d describe the novel as a techno terrorism thriller, with a dash of CSI magic for added flavor (ENHANCE!). I was genuinely excited to see where the story was heading and found myself anticipating each mission as they were presented in order to further my progress through the novel. My one and only complaint with the novel is one that you often see leveled at self-publishers – you must proof and edit your copy with an eye toward error correction. The novel has quite a few typos and/or misplaced words that fortunately do not ruin the pacing or plot of the novel, but they are difficult to miss. I’d suggest that just a single pass through a minimally proficient editor would have caught 98% of the mistakes prior to publication. That is my one and only critical comment about the book. Writing a novel is hard (trust me, I know). Combining the story by weaving an external sim component with the novel only adds another level of complexity to the process, and I admire Mr. Kotheimer for his ability to do it seamlessly. 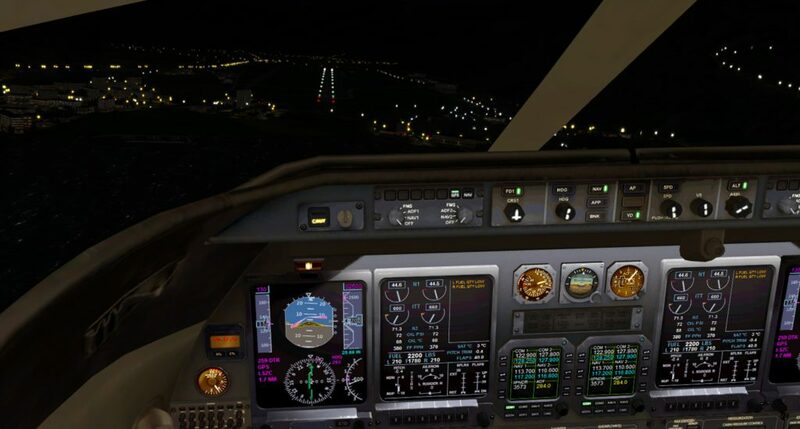 There are also the technical aspects of developing, testing, and perfecting an FSX mission in a way that takes into account nearly all of the possible interpretations that a sim pilot could be reasonably expected to make. In my experience, the missions were nearly perfect – I only found one instance where I took an unforeseen path and didn’t get the appropriate sequencing of the mission. 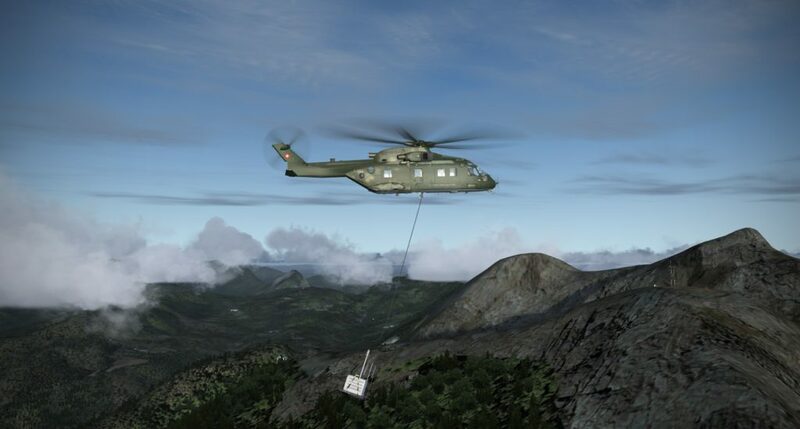 The missions were developed using FSX Mission Editor. The mission briefings are simply fantastic. There are two components to the mission briefings. 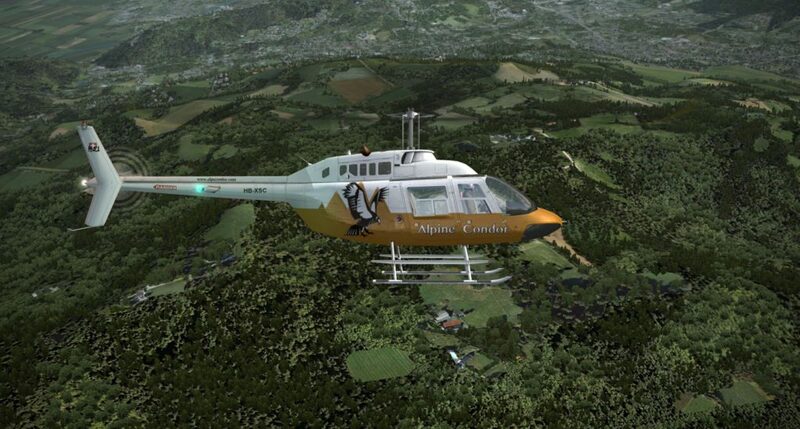 The first are the Flightsim Flying Notes which are contained at the end of the associated chapter of the novel. 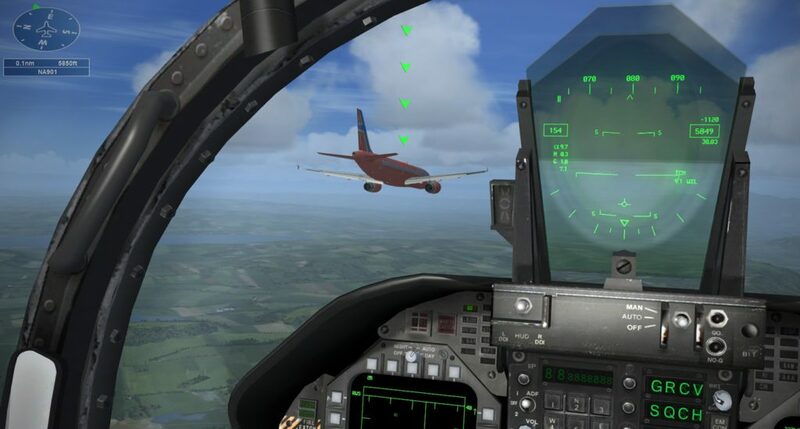 The Notes offer an overview of the mission setup, suggests aircraft operational pointers, and explains FSX quirks that might need to be considered. 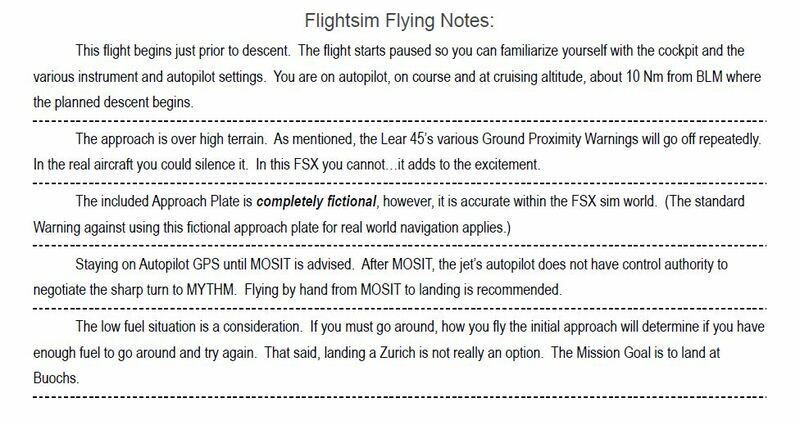 Once you’ve read the Notes, you can proceed to FSX and open the mission where you’ll be provided a very detailed and well written briefing. The mission briefings will contain a wealth of details and they must be read and understood prior to embarking on the mission. Information includes an estimated completion time, aircraft type, and objectives. Radio frequencies (both COM and NAV), courses, and various suggestions are included in the briefings. Some of the briefing components are required to be followed or you risk failing the mission, which means you’ll have to fly it again. I had good success with flying many of the missions just once, but there were a couple, and one in particular that were difficult enough that it required a second or third go at it…and not due to a mission design flaw, but simply because I wasn’t flying good enough! The maps included with the briefings are exceptionally well done. There are a couple of typos in the briefings, but again, they are inconsequential in the bigger picture. The briefings are available during the mission by consulting your kneeboard if you need a refresher (you will). 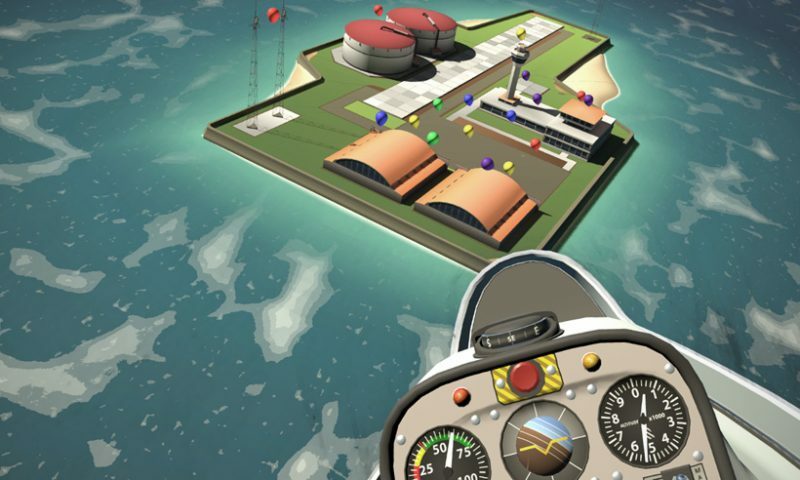 Mission objectives are also listed on the kneeboard and are ticked off as you meet each requirement. Missions include the aforementioned custom scenery and objects, both moving and static. Radio messages, warnings, and other sounds play throughout the missions and close attention must be paid to their content. I had some difficulty with some of the accents in the exchanges, as would be expected in real life. If you are in a real pinch you can open up the mission directory and replay the audio files if you happen to miss one. I can’t stress enough how well the missions play through – they are the perfect mix of attainability and challenge. As well, the diversity of the missions is a ton of fun. I found myself revisiting aircraft I had not flown in years – challenging both my memory and my ability to complete the missions according to the requirements. 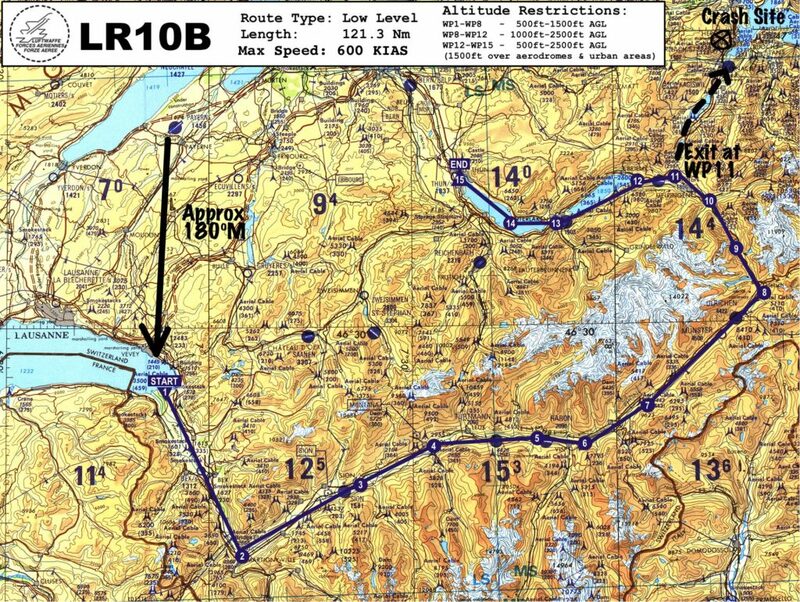 Some of the missions are no cake walk either, requiring precise navigation (including IFR flying) and skill to complete. There were some unique elements to the missions that I had not seen before (the ability to use binoculars) and each mission success was met with relief and a distinct release of tension from my shoulders. Each mission end blends into the start of the next segment of the novel, providing clear continuity. You will also notice this continuity within the mission environments – but I’ll leave it at that. 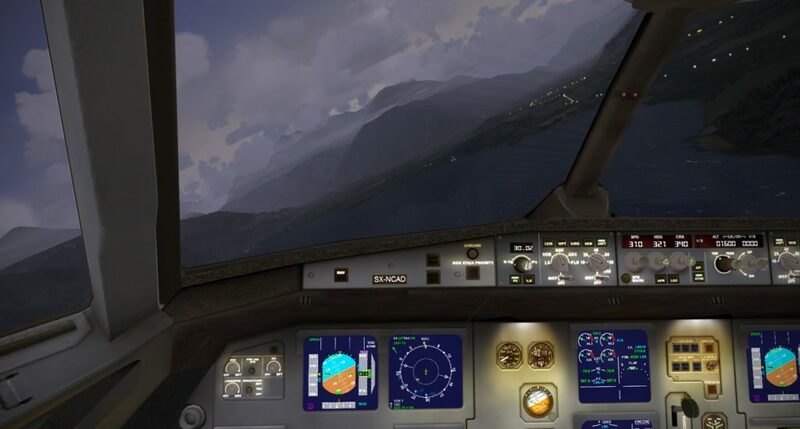 One final note on the missions is that they use both the weather and lighting of FSX to maximum effect – particularly when blended with the stunning Swiss landscape rolling by. I’m officially jealous. Will Kotheimer has created exactly the kind of content I’ve both been a proponent for, and that I’ve personally wanted to create for decades. 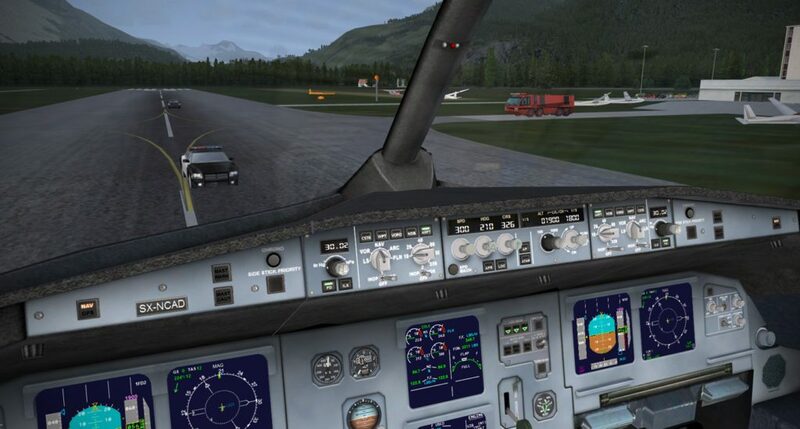 I’ve long argued that our base sims are good enough (FSX, P3D, X-Plane, DCS) and that it is the playability that is most important in gaining and retaining our user base. Yes, there are plenty of us that can simply develop a flightplan and entertain ourselves with a basic flight, but giving purpose to flying, whether through utilities such as Air Hauler or FS Economy, or a good story, is an essential component of our simming that often gets overlooked in favor of the shiny new features of the most recent sim release or update. 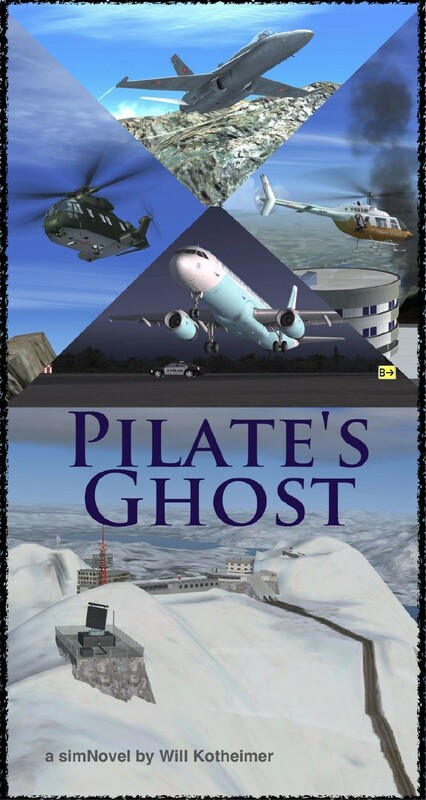 The author of Pilate’s Ghost has provided us with an entertaining novel and a unique blend of story and sim action that scratches a specific itch. 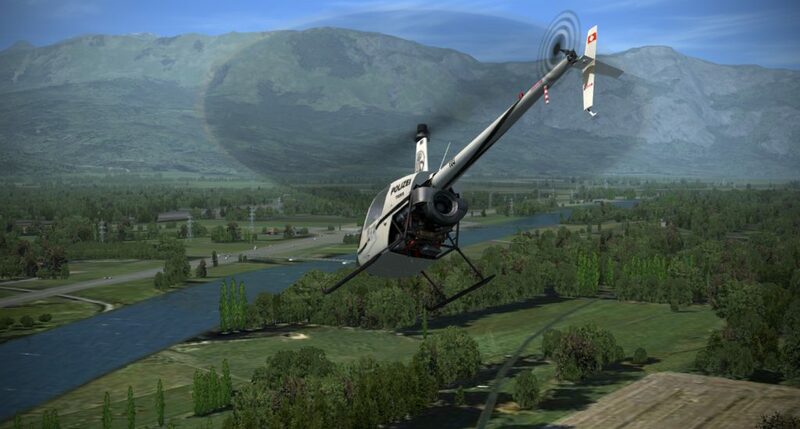 I hope to see more from esci Flightsim Publications in the near future. What a cool idea. Would work great for DCS too I’d guess. Would work great for DCS too I’d guess. Yes. I’ve thought long and hard about that. 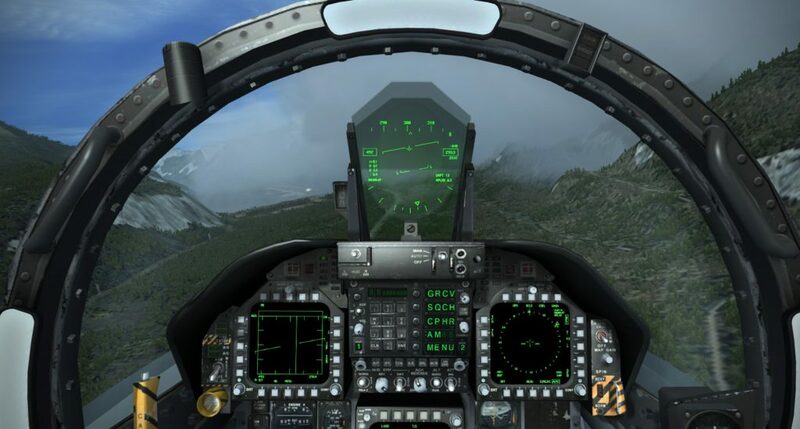 If it weren’t for the fact that once you sell something for DCS World you are obligated to keep up with the changes to the Mission Editor, I might do it…but that sounds like signing on to a commitment that would have expectations I couldn’t meet. Yes. It would and it is something I have considered. BTW Hangar200 = Will Kotheimer. I did some mission work way back with LOMAC…a string of missions tied together with a story…never got to the story as the theater rather limited the options…and being a Navy guy, I wanted a nautical theme. Also gave it another shot with DCS Blackshark…a mission or two and was trying to come up with a compelling story. Ironically, in 2008, I was the Director of Intelligence at EUCOM’s intelligence center, JAC Molesworth when Russia gave me a very compelling story line with their invasion of Georgia. In my position at the time I got a great view of that conflict…none of which I can talk or write about…really. IMHO DCS offers a better platform than FSX for a simNovel. 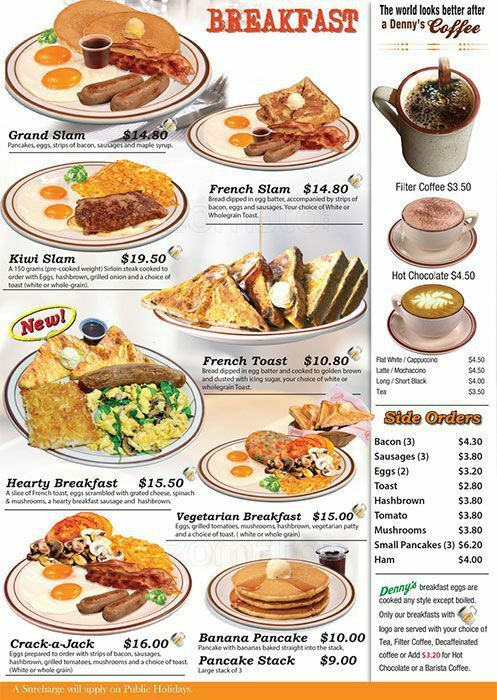 First it is standardized. Scenery and terrain are all the same one user to the next. If you stick with a popular aircraft like the A-10, you are good to go. 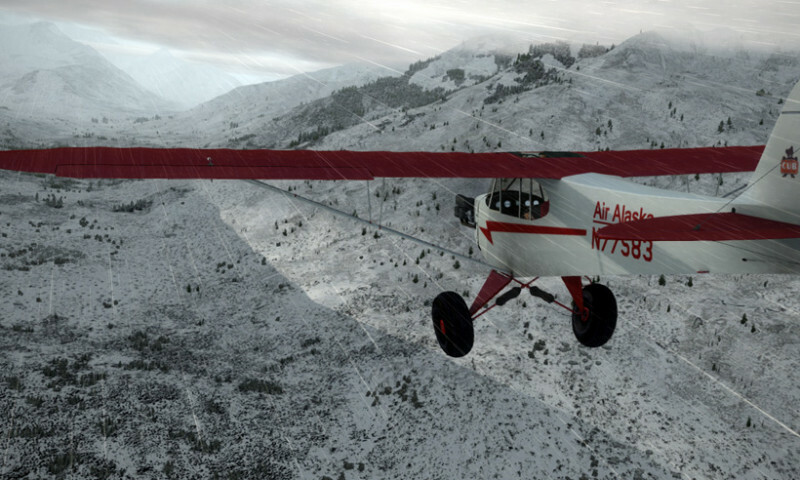 A huge hurdle with FSX is the variety of 3rd party scenery packages and aircraft. 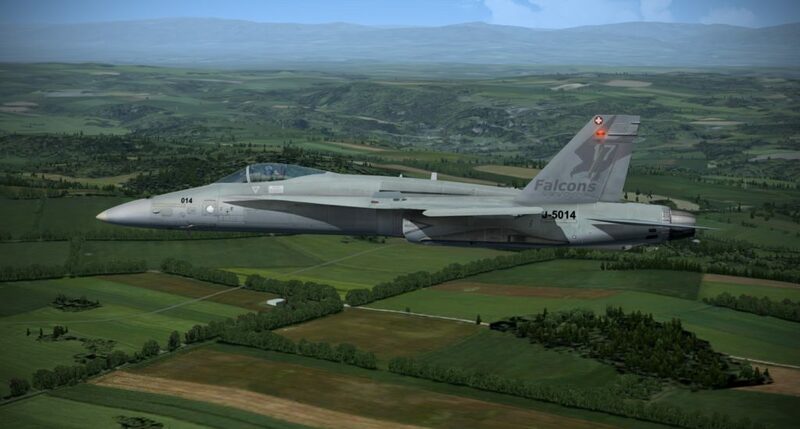 As was mentioned in the review, in Pilate’s Ghost I chose an area with pretty good default FSX scenery. 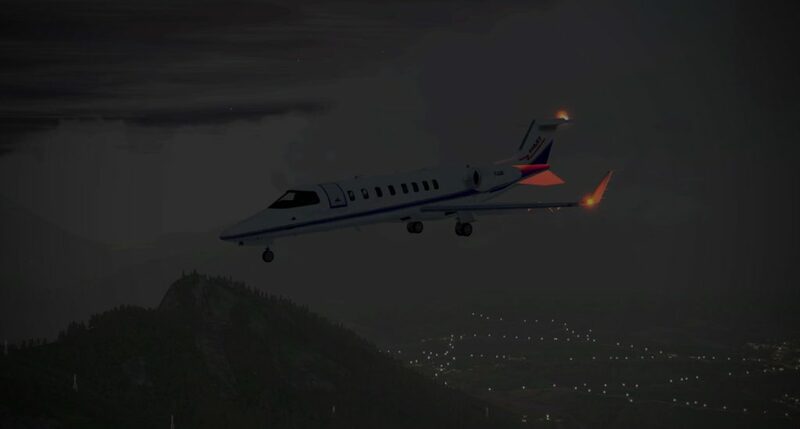 I also tried to use the default aircraft in a way that emphasized flying skills rather than employing much of an aircraft’s systems, since the default aircraft are rather limited when it comes to detailed systems. 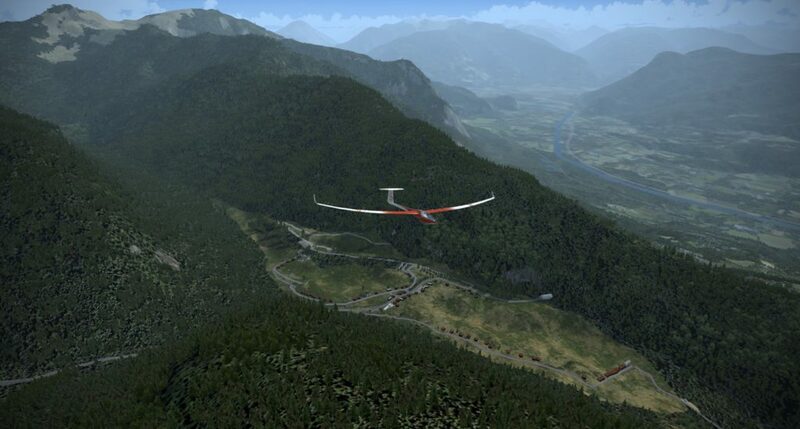 Add to that compatibility wth FSX SE, P3D v 1, 2 3…you get the picture. Second any DCS mission creation system is light-years ahead of any FSX mission creation app…especially the OPT in the FSX SDK. To be fair, FSX Mission Editor is a wonderful tool and with it I was able to create missions I could not have dreamed of with OPT…or at least I’d still be working on them. 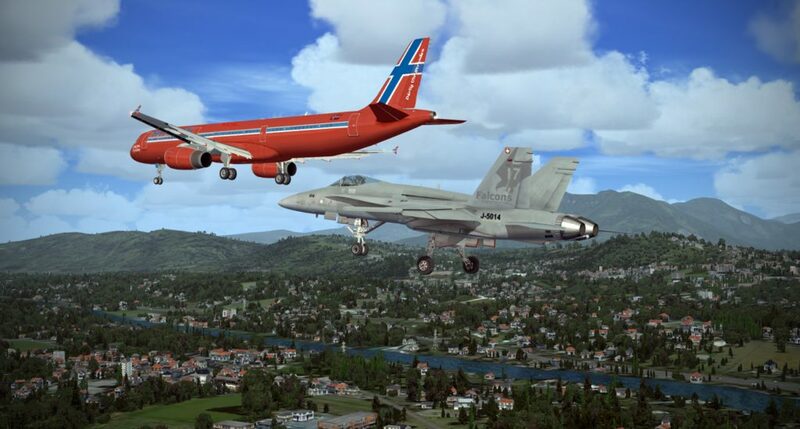 This is an FSX limitation. So yes, It is not only possible but it is much simpler in DCS. Still, just as Clausewitz said, “War is very simple, but in War the simplest things become very difficult.”…just because it is simpler does not mean it wouldn’t be difficult. Currently, since I’ve always been an “FSX guy”, I’ve been doing some work wth TACPACK and [email protected] Good possibilities but hampered by the same FSX issues. 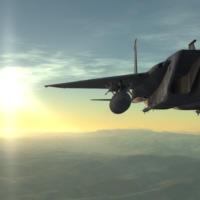 As was mentioned in the review, in Pilate’s Ghost I chose an area with pretty good default FSX scenery. I also tried to use the default aircraft in a way that emphasized flying skills rather than employing much of an aircraft’s systems, since the default aircraft are rather limited when it comes to detailed systems. 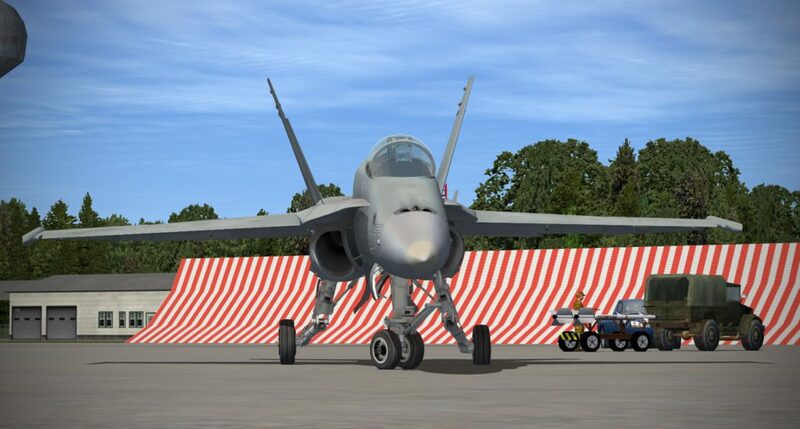 Beck in my early SimHQ days, I started doing a series of stories based on the Resolute Fury campaign for Jane’s Super Hornet. Tied it all together with a fictionalized version of myself, who’d been a nuke on Reagan, got picked up for a commissioning program, and went to a squadron that was assigned to Reagan for a surge cruise, when everything goes horribly awry. The original idea was to add in backstory to this fictional character, having a long-lost uncle who secretly flew with Eugene Bullard and Rene Fonck. This would then follow on with family in other sin m sim campaigns. When the DCS Hornet became official, I started toying again with the idea of diving back into these stories, and I’ve sketched out a few character and plot details. So we’ll see. I’ll stick to what i know- a tall, dark, and handsome protagonist. And humble too. Did I mention humble? I have to say, I’m incredibly disappointed Cat and Bones never finished that last bit of the story. They asked about it, then nothing more came of it. Ditto for a proper ending to Dart’s Martin Miller stories. I was reminded of those buttons many times when writing my simNovel. 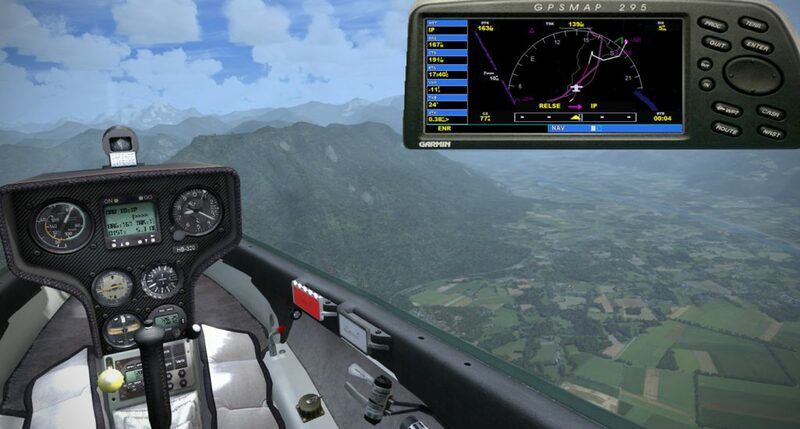 You’ve got your simulator, you’ve got all kinds of missions in mind. 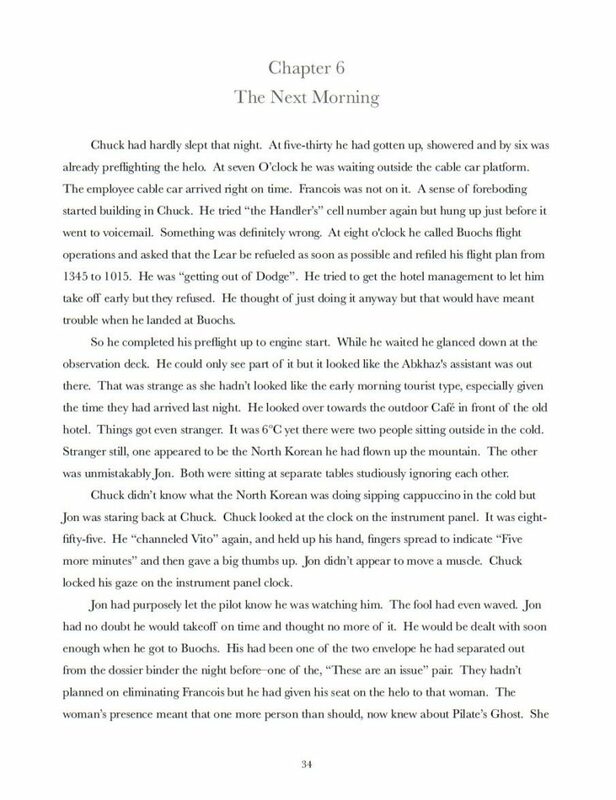 You can think of a plausible beginning and some plausible characters (although a Nuke that transitions to Naval Aviator? That’s a stretch. ) and then launch the project. I did that and quickly found myself spinning my wheels with a gaggle of diverse missions and a “soup sandwich” of a plot - neither made much sense. After spinning my wheels, I stopped and decided on an ending. Then I had a story. Several missions got cut. I worked the remaining missions and the plot so that BOTH were part of the story in a way that made sense. Dealing with “How will it end?” reminded me that a simNovel needs to be first and foremost a work of literature. It is unique in that the reader gets to “write their own chapters” through flying a mission. Those chapters are as diverse as the virtual pilots who fly them…which is cool. For Navynuke99, I think a good ending would be for the carrier to be failing their ORSE …our hero must decide between flying a last critical mission or helping his nuke-snipe comrades down in the main spaces…either way he gets to save the day! …well actually the N2 saves the day…it may be fiction but it has to have a foundation in reality. I’m partially through writing a novel (about a third of the way) and I’ve paused for a long time (like a year) at a critical part. I actually know how the story continues - and a murder is involved…and every night I swear I think about killing that character. LOL…it’s pretty funny actually. I might have to go to the bar and pour one out for him once I put the words on the page. and a murder is involved…and every night I swear I think about killing that character. LOL…it’s pretty funny actually. That explains the look in your eyes at the last staff meeting. Frighteningly enough, that’s how you get a Carrier CO and XO. And how they treat the nukes is usually directly proportional to how much they had to struggle in the nuclear power training pipeline. The ship actually failed ORSE after they got back from the surge cruise during which this story takes place- and holy crap, I can’t even imagine the colors Admiral Donald would have turned if an aviator, regardless of being previously nuclear trained, had to save the day for the ship. Because my qualifications would have lapsed, my Dosimetry paperwork wouldn’t be up to date, and it would be a violation of pretty much ALL the Watchstanding Principles he’d so carefully developed and plastered all over every nuclear powered ship in the Fleet. Oh and also, because i wouldn’t have been on the watchbill and properly signed into the logs. @Hangar200 do you want a critique? Because that’s how you get critiques. Oh I had a brush with Naval Reactors about one removed. …then we started ORSE preps for when we got back…I found myself cleaning “gunk” off stuff as I crawled the bilges under one of the EVAPS…because… “Oh yeah, they WILL look under there”. That plus a literal mountain of logs they stacked in the wardroom that they had to throughly review page by page…we didn’t have enough room to play cribbage! They were still at it when we got on the tug that took us back to Kings Bay…the same tug that brought out the ORSE team…when we reached the pier they had a chaplain on hand to perform an exorcism of the tug…to rid it of the evil ORSE spirits. Needles to say I was reconsidering my career path. I got back to college to find I had failed my pre-commissioning physical - RED/GEEN color blind - cannot say I was over disappointed - my choices were Restricted Line or Staff - I chose RL- Intelligence (“In God We Trust-All Others We Monitor”) and never looked back. Let’s face it,you would’ve never passed the entrance exam for Naval Aviators. For example when you got to the question “What happens when you push the control stick forward?”, I’m sure, based on your nuclear background, you would have talked about the change in airflow over the elevators, causing low pressure and higher pressure areas as if flows over the airfoil and how those forces react on the aircraft causing it to pivot around its center of gravity to a nose down attitude. For example when you got to the question “What happens when you push the control stick forward?”, I’m sure, based on your nuclear background, you would have talked about the change in airflow over the elevators, casing low pressure and higher pressure areas as if flows over the airfoil and how those forces react on the aircraft causing it to pivot around its center of to a nose down attitude.